If you read this Hindustan times article, it seems like a gripping action scene from a thriller novel. Another article by HT explains the politics behind the statue removal. They seem to drag the untiringly debated Brahmin-Maratha angle to this political scenario. Caste politics at its best! AC wrote a nice post on how a citizen feels about the whole issue on his blog. 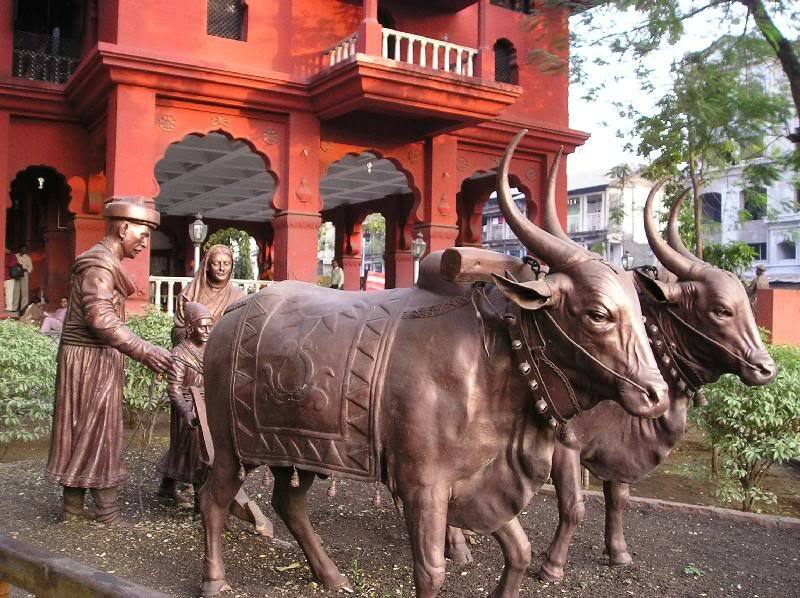 Here is a picture that shows the innocuous statue and the lovely Lal Mahal in the background. In the picture, starting from the left is Dadoji Konddev, little Shivaji and his mother Jijabai. Whether it reflects accurate historical facts or not is entirely debatable. And this debate can go on and on. But trust Indian politicians to make an issue of this and trouble the daily schedule of a commoner! Wonder what Mayawati has to say about the Statue politics! that's how myth is created i guess. Probably after some time dadoji will cease to be real - thanks to the political contentions, and be a myth - believed in by some and disregarded by other. Agree. And as you said, it will be a serious point of contention between faith, belief and reality. It is also a 'Status' fiasco. You 'this' me 'that'.